Fortnite Battle Royale is better than Playerunknown’s Battlegrounds. Period. Straight up. The end. If you ever wondered what PUBG would be like if it had a bit more polish and a ton more personality, Fortnite Battle Royale is your answer and it’s a ton of fun. It’s also free and is available on Xbox One AND PS4. Continue reading our full preview for all of the details on Fortnite Battle Royale. 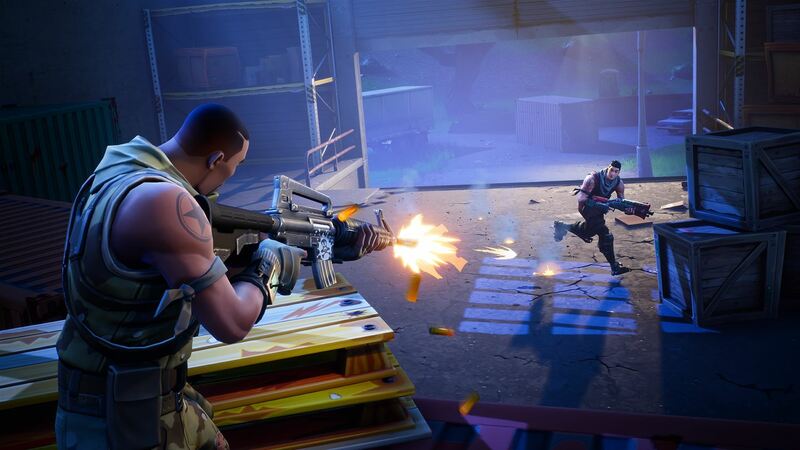 Fortnite is somewhat confusing because, ultimately, it is going to be free to play at some point, but currently it costs $40 (or more depending on the bundle you buy) to access the game’s standard co-op player vs. enemies campaign mode. You can also pay real money for extra characters, XP boosters, cosmetic items, and a bunch of other things. These microtransactions will ultimately be how the game is free for everyone, but as I said, currently it costs money to play PvE. Fortnite’s Battle Royale mode, on the other hand, actually is free to play currently. You download the same Fortnite client, but don’t have access to PvE unless you pay for it. You do have access, of course, to the 100-player free for all Battle Royale multiplayer mode, which is what this article is about. And, if you want to pay for cosmetic items and other stuff, you can. It is also important to note that Fortnite, and the Battle Royale mode, is currently still in early access, so it will continue to get updates and upgrades and changes for the foreseeable future. This also means that there can and will be glitches and issues and problems, but that’s just how early access / Game Preview works. When Battle Royale was initially announced, PUBG publisher Bluehole was pretty vocal with its criticisms that Epic Games stole their idea. Bluehole didn’t invent the battle royale genre, so they don’t really have a legal leg to stand on, but spending any amount of time with Battle Royale does make their concerns pretty clear – Battle Royale is definitely pretty much the same thing, and it’s better than PUBG. 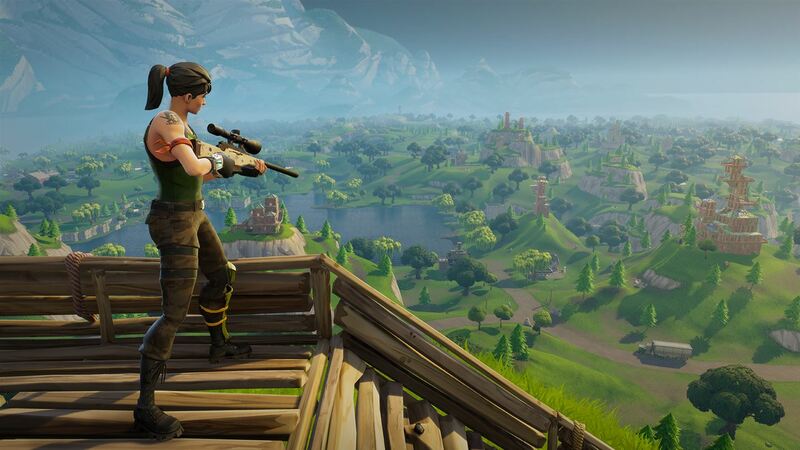 The basics of Fortnite Battle Royale are exactly the same as PUBG. You air drop down into a huge map with 99 other human players, scrounge around for randomly placed weapons and items, and fight it out while the play area shrinks until only one person or team remains. There are some significant differences in Battle Royale, however. 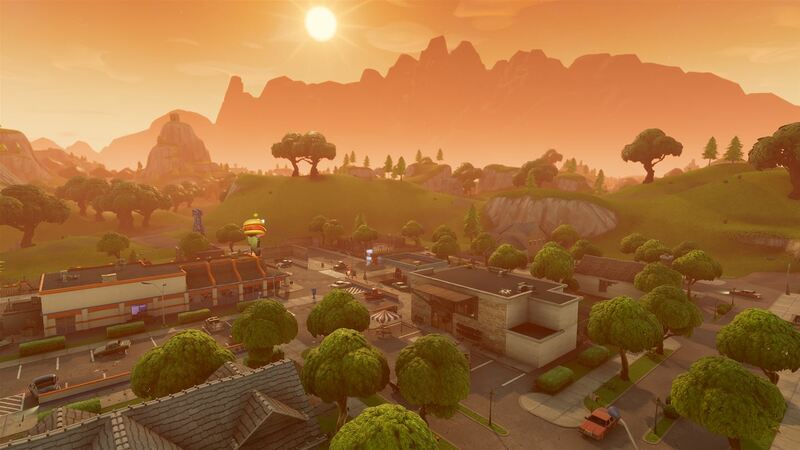 The first of which is the destruction / construction system that is the foundation of Fortnite. You can break down any structure or object in the game into component parts and then build new stuff with the materials. You can instantly build a wall to hide behind in a firefight. You can tear down a building to get at players trying to hide. You can build a huge fortress base full of traps. You can build a tower into the sky so no one can reach you. You can kind of do anything you want, and that’s awesome. The ability to build and destroy makes Battle Royale matches instantly more dynamic and interesting than PUBG could ever dream of being. There is simply more stuff to do, so the matches are inherently more fun. In my opinion, at least. 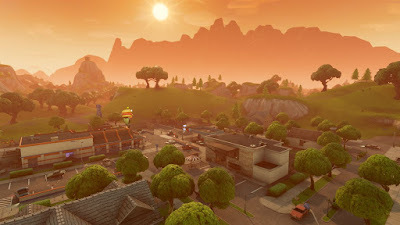 The core gameplay actually has the same sort of clunky awkwardness of PUBG, if we’re being honest, but everything also works just a little smoother and better thanks to Epic’s decades of experience as well as the fact Battle Royale was built on an already functional foundation in Fortnite. Battle Royale also has the benefit of not being a super serious realistic battle sim like PUBG wants to be. Battle Royale has attitude coming out of every pore and doesn’t care if it is realistic or not. You drop out of a flying bus, for starters, and instead of a parachute one unlockable item is a freaking umbrella (like Mary Poppins, ya’ll). The weapons and items and costumes and special effects and other nonsense you can unlock all revel in their weirdness and how over the top they can be, which makes Battle Royale a ton of fun to play just to see what crazy thing you’ll unlock next. It is a more rewarding experience than PUBG simply because the unlocks are cooler. Battle Royale’s other main advantage over PUBG is that it isn’t tied down to just one game type. Sure, there’s a 1v99 free for all mode that you can also play with small teams, but there has also been a 50v50 big team battle mode that was absolutely awesome. Having a bunch of teammates does diminish some of the tension in the game, but for more casual players that don’t usually survive 1-on-1 encounters with other players, it makes for a much more fun experience. I personally just love big team battles. Battle Royale has also experimented with other optional modes like a rocket mode where everyone had rocket launchers that was just hilarious to play. Moving forward, Battle Royale is only going to get more crazy and dynamic and interesting and more fun to play as new items and weapons and maps and game modes are added. PUBG has been pretty stale and stagnant. Something else that is interesting is that Fortnite Battle Royale is available on Xbox One as well as PS4 while PUBG is only available currently on Xbox One. This is already creating a massive divide in the player base where PS4 fans are flocking en masse to Battle Royale to the point that it is the most popular game on PSN by a pretty huge margin. Even if / when PUBG launches on PS4 I imagine Battle Royale will continue to be more popular (PS4 fans are vindictive asses when it comes to exclusives on other platforms, see the controversy around Rise of the Tomb Raider but Street Fighter V being a PS4 exclusive is OK for some reason …), so PUBG launching on PS4, whenever that may be, will likely be too little, too late. In the end, Fortnite Battle Royale is a ton of fun and I highly recommend you give it a try if you’ve been wanting to see what all the fuss is about with PUBG and the massive multiplayer deathmatch genre in general. Battle Royale is free, packs a ton of attitude and personality, and is a crazy dynamic experience that is a ton of fun. Moving forward, I only expect it to get better, too. Whether on Xbox One or PS4, Fortnite Battle Royale is worth checking out.